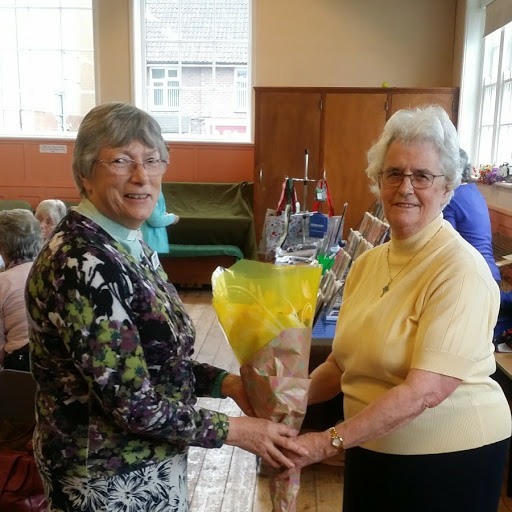 We held our branch AGM on Wednesday 7th February; this was preceeded as usual by a coffee morning with Bring and Buy stall, cakes, a raffle and two tables containing MU merchandise, including Easter cards, the proceeds of £79.70 which went towards the work of the Mothers’ Union. At our AGM, chaired by Fr Ray Chapman, it was agreed we would continue to be “run by committee” as no new leader has yet been found. Fr Charles Howard led our Lenten Meditation on Thursday 15th February. In this we were encouraged to try to approach Lent and Easter as the disciples who didn’t know how the story enfolded and to use the time as a period of reflection. We should, instead of “giving up” something during Lent, try to “give” something, in the form of being kinder to others, and to appreciate beauty and Holiness in the World around us. The speaker at our March monthly meeting was Pauline Wale who spoke on the MU Theme for 2018, “In the footsteps of Mary Sumner”. In the mid-1800’s George Sumner, the Rector at Alresford and his wife Mary were worried about the welfare of women in their Parish. Mary was inspired by her faith, hesitantly at first, but with increasing confidence, to bring women of all ages and from all walks of life together. This began with a first meeting at the Rectory but soon spread beyond the Parish, the Diocese, and then the country to become an International Christian Organisation. Her “journey” and that of those who have followed her have improved women’s lives and encouraged men to think of their wives as equal partners in marriage and to value them accordingly. When she died in August 1921, 4000 women attended her funeral. The Mothers’ Union is now on the ground in 83 countries with over 4 million members putting their faith into action and using their talents and skills to transform people’s lives in their communities. Our Lenten course this year was entitled “All things are possible”. This followed the booklet supplied by USPG (United Society Partners in the Gospel). It explored how faith in God can change the world. With five weekly titles - Prosperity; What does it mean to prosper? People: What does it meaen to fulfil our potential? Planet: What does it mean to care for the environment? Peace: What does it mean to love our neighbour? And finally, Partnership: What does it mean to live in partnership with God? With examples of development programmes in Zambia, Brazil, India, Nairobi and Pakistan, Bible texts and questions we considered how faith and faith based organisations contribute to the wellbeing of our planet and its people. Our 10 members donated a total of £50 in “tea and cake” money which has been sent to USPG for their work. The annual Lady Day Service for Havant and Portsmouth Deanery was held on Monday 9th April. Members from throughout the Deanery gathered in St George’s Church at 2pm. After the Procession of the Deanery Banner we were welcomed by Sheila King, Deanery Co-ordinator. The service was led by the Ven Dr Trevor Reader, MU Chaplain, with a talk given by Rev Elizabeth Groves, our Diocesan President. Afterwards a cream tea was served in the church hall.